Clarens, 30 March 2017 – Sommet Education expands its management team with the arrival of Dr. Pierre Ihmle, Vice-President Strategic Planning, based in Clarens, Switzerland. Sommet Education encompasses Glion Institute of Higher Education and Les Roches Global Hospitality Education. Dr. Pierre Ihmle started his career as a researcher in geophysics with Institut de Physique du Globe in Paris and the Swiss Federal Institute of Technology in Zurich (ETHZ), before moving to McKinsey & Company. He founded two companies between 2001 and 2007, among them a tech start-up and a consultancy providing training to large corporations in the fields of strategy, innovation, finance and change management. Over the past ten years, Dr. Ihmle has led the business development of Swiss Federal Institute of Technology (EPFL) in Lausanne, developing institutional partnerships with corporations such as Dassault, Microsoft, and Nissan while managing a portfolio of over 45 prospective companies for EPFL’s Innovation Park. Most recently, he worked with Ecole Hôtelière de Lausanne (EHL) where he acted as Vice Dean and played a central role in the development of the Master of Science in Global Hospitality Business and strategic digital education initiatives. Dr. Ihmle is a graduate of the Swiss Federal Institute of Technology (ETHZ) and holds a Ph.D. in geophysics from the Massachusetts Institute of Technology (MIT). 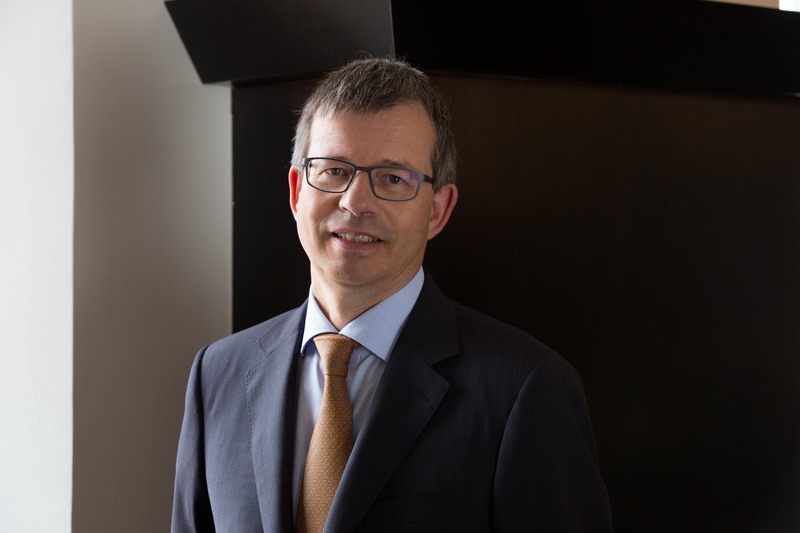 In his new role, Dr. Pierre Ihmle will bring his expertise to Glion and Les Roches in supporting them defining and designing innovative and digital academic content, methods and offerings. This will contribute to position our institutions as visionaries in their respective competitive landscape and will serve the constantly evolving needs of the Premium Service Industry. “With its new leadership in place, Sommet Education has a solid foundation and an inspirational vision to strengthen a long-standing heritage gained in the hospitality and luxury sectors. I am very excited to join a group with the ambition to grow and further develop its employer and academic reputations worldwide,” says Dr. Pierre Ihmle. Known for excellence in cultivating the hospitality leaders of tomorrow, Sommet Education encompasses a distinguished group of institutions united by a fundamental belief in the importance of academic rigor, skills-based learning and a dynamic multicultural outlook. Sommet Education institutions Glion and Les Roches serve students from more than 100 countries, preparing them to be immediately effective in their professions – wherever in the world these may be – while delivering exceptional consumer experiences. Sommet Education is part of Eurazeo, one of the leading listed investment companies in Europe.